Eva's collection was created for every woman in fabrics and materials that look and feel amazing. It's versatile and features a full range of designs from dresses to denim. This top celebrates the motto "from work, to wine." 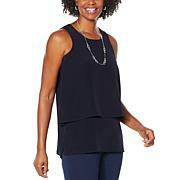 Marry it with your favorite staple for a seamless and stylish transition. For a more comfortable fit, please size up to the next whole size. Bought that shirt for myself, love the style. My daughter saw it and started to rant about how cool I'am, because the style is in. This is rare coming from her, so I gave her the shirt. Looks better on her. Because she is 5'3, 132 lbs with D cup. Medium is a tad too short for my liking (5'7) ,but it is perfect on her. 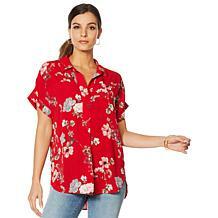 It is a great shirt, nice style and fabric, dressy or casual. Go for it ladies. 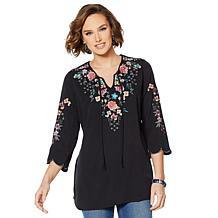 This is a very beautiful blouse. 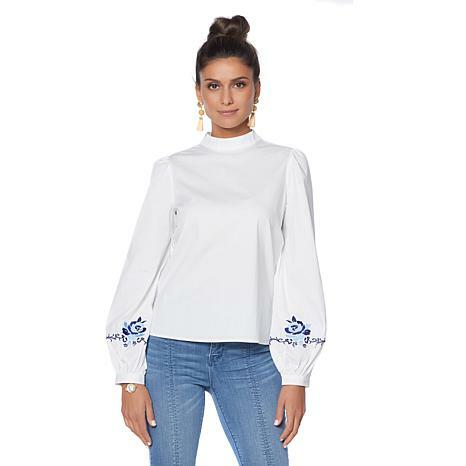 The material is very soft and stretchy and the embroidery on the sleeves provides a sutble hint of colour that contrasts very well with the white. Looks extremely good with jeans. The manufacturer recommends going up a size. I did this and the fit was perfect. Love the style and the VERY NICE fabric she used. You can tell a difference the minute you touch it. More of this brand please!!!!!!!!! Beautiful material, perfectly placed detail on sleeves, sleeves not voluminous and complement the more tailored body. Definitely needed to go up a size and based this on other reviews and now my own experience. I usually wear a large but went to xl and fits perfectly.